South Korean crypto exchange Bithumb has teamed up with crowdfunding platform seriesOne to launch a compliant security token exchange in the U.S. The joint venture was revealed in a press release from seriesOne, which adds that the exchange launch is still subject to regulatory approvals from the U.S. Securities and Exchange Commission (SEC) and the Financial Industry Regulatory Authority (FINRA). SeriesOne already offers an SEC-regulated platform that supports projects launching initial token offerings, as well as traditional equities and debt offerings. “I believe that our companies will be able to create a unique product to not only tokenize major assets, but that could also create liquidity through a compliant token exchange,” said seriesOne CEO Michael Mildenberger. Crypto markets have seen mixed signals over the day, with most of the top 20 cryptocurrencies by market cap experiencing slight fluctuations. Bitcoin Cash (BCH) and Stellar (XLM) are seeing significant gains on the day of more than 3.5 percent. Following a slight price rebound, Bitcoin (BTC) has failed to foothold the $6,400 price point today. 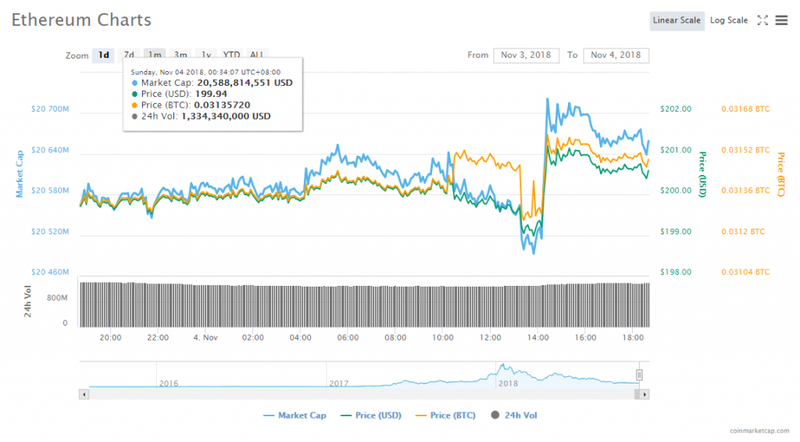 The major cryptocurrency is down around 0.4 percent over the past 24 hours and is trading at around $6,348 at press time. The intraday high of Bitcoin’s price has amounted to $6,400, while the lowest price point has constituted to $6,342. Earlier today, it was reported on the research by a group of analysts from Northeastern University and the University of Maryland claiming that Ethereum smart contracts have a lack of diversity, which reportedly poses a threat to ETH blockchain ecosystem. The deputy clarified that the implied coin will represent a blockchain-powered stablecoin pegged 1:1 to the ruble. Aksakov further described the model of creating the stablecoin, stating that the cryptocurrency will be backed by a banking deposit of a certain amount. After that, a banking institution is set to issue a corresponding amount of crypto assets by using blockchain technology and adhering to the 1:1 proportion. 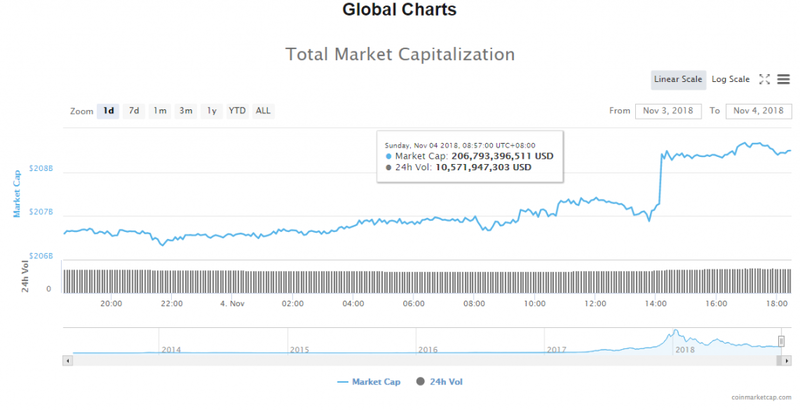 The volume of trade in the crypto market sat at $12.11 billion. The market’s capitalization, on the other hand, reached $208.40 billion. In the past 24 hours, Bitcoin jumped 0.05% to trade at $6,369.28. The leading cryptocurrency’s trade volume trickled to $3.97 billion, while its market slid to $110.54 billion. Ethereum’s price jumped 0.28% to trade at $200.42. As for the altcoin’s trading volume, it reached $1.40 billion; whereas its market capitalization hit $20.64 billion. In the past 24 hours, most prices were up. Meanwhile, Tether dethroned TRON at the 10th spot. Bitcoin’s market price jumped 0.05% to $6,369.28, and its value in the market is $110.56 billion. Ethereum’s market price jumped 0.28% to $200.42, and its value in the market is $20.64 billion. XRP’s market price fell 0.09% to $0.456018, and its value in the market is $18.33 billion. Bitcoin Cash’s market price jumped 14.34% to $532.35, and its value in the market is $9.28 billion. EOS’ market price jumped 1.23% to $5.41, and its value in the market is $4.90 billion. Stellar’s market price jumped 3.04% to $0.241639, and its value in the market is $4.57 billion. Litecoin’s market price jumped 4.26% to $53.15, and its value in the market is $3.14 billion. 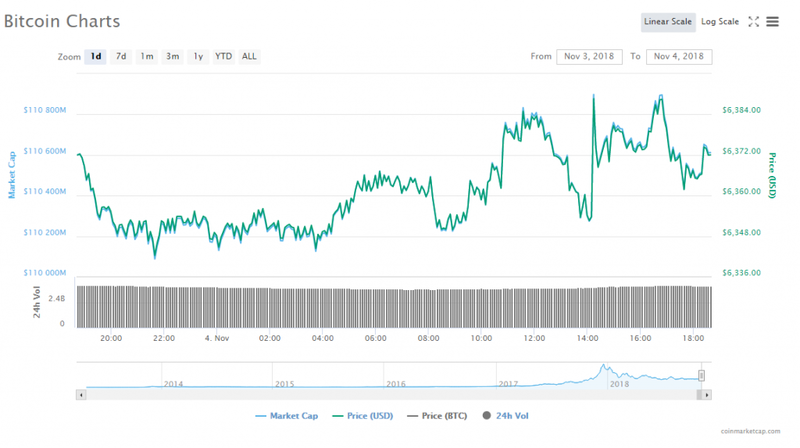 Cardano market price jumped 3.42% to $0.073961, and its value in the market is $1.92 billion. Monero market price jumped 1.35% to $106.56, and its value in the market is $1.76 billion. Tether dethroned TRON at the 10th spot, but its market price fell 1.20% to $0.990543. As for its value in the market, it is $1.76 billion. The oldest cryptocurrency exchange in the UK, Coinfloor is laying off most of its employees according to local news reports. The crypto exchange, which is London based, was founded in 2013 and has been focused on institutional as well as sophisticated investors. It has been reported that the Ministry of Strategy and Finance in South Korea will release a new framework for the taxation of cryptocurrencies by the end of June this year. However, a spokesperson from the Ministry said that they do not have a set time frame by which this new framework will be ready, but it should be in the first half of the year. An alliance for media copyright protection has been established in Beijing, whose aim is to offer Blockchain powered copyright protection services. The alliance is called the China Financial Media Copyright Protection Alliance, and it already has over 30 financial media majors as members. According to recent news reports, Cricket South Africa’s (CSA’s) Twitter account was briefly taken over by scammers and posts on the country’s national cricket organizations social media account offered a fraudulent Bitcoin (BTC) lottery.